One of my favorite roles is speaking with parents of young children. There is something about the challenge of raising children in a world seemingly gone mad that motivates parents, even the ones who haven’t thought about the meaning and purpose of life in a while. They have an interest in discussing issues beyond the latest Social Media Fad. Parents are aware that many kids are not all right. Depression, anxiety, self-harm as in cutting, anorexia and even suicide are sky rocketing among teens and taking their toll on families across the country. And parents aren’t the only ones that have a sense that the kids are not all right. As we were wrapping up a recent presentation with a group of teens, I asked if they had anything particular that they would like us to address when we came back in a few weeks. The topic they requested…”mental illness”. They have heard the culture’s message, or lack of coherent message, loud and clear…there is no truth beyond your truth or my truth. There is no meaning and purpose for your life beyond the one you invent for yourself. They are sensing, in their pain, that which mankind has known since the dawn of history. The human heart was made for more and it does not function well in a world void of meaning and purpose. 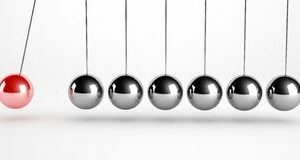 I believe that the pendulum of moral relativism pervasive in our culture, the religion of mere opinions and the absence of objective truth, may be reaching its outer limit. Unfortunately it is our children and grandchildren, as they have throughout history, who pay the highest price for the folly of the generations that have come before them. The CDC, the Center for Disease Control, reports that since 1999 suicide rates across the nation have gone up 30%. But what has the social scientists particularly baffled is the much larger spike in suicide rates among our children. For instance, they report that the suicide rate among girls ages ten to fourteen has tripled. Why then are so many more Americans getting to this level of emotional despair than in the past? Remember what Saint John Paul ll said, ”The future of humanity passes by way of the family.” Start in your family, the domestic church. If you still have young children or teens at home, begin with a simple strategy that I have been sharing with parents and grandparents with great success for almost fifteen years. It is titled “Tuesday Night in the Smith Home” and it is reprinted below. It will bring fruit to your family that will last for generations and into eternity! If you are an empty nester, try it with your spouse or invite your grandchildren over for dinner once a week! You will soon find that this goes beyond sharing more information! This invites the person of Jesus Christ into your home. Then buckle up… and watch Him go to work. Finally, let me know what’s on your mind. I’ll try and address it in an upcoming Newsletter. Also I am collecting specific ways that parents are tuning out screen time and spending quality time with their families and sharing their faith. Please send me your best practices to share! My cousin shared that they have put the video games away and are having a gas playing board games after dinner as a family. Start one night a week and work it up from there! !